In this video I show you how I use an Android app called Broadcast Myself to do live remote broadcast using Android mobile devices! I was able to use the app to broadcast live from an event we were having in the park. This app connects to an additional server (shoutcast or icecast) and my broadcast software was scheduled to grab this extra stream and rebroadcast it live. Being able to quickly and easily connect to your radio broadcast software remotely is important in allowing you and your team to go beyond the station with no need for taking complete laptop systems and there is no need for Wifi as this works over 4G connections! In the video below I show you an overview of the app that allows you to do remote broadcast using Android devices and how easy it is to setup. Created a folder on my mobile device SD card to load my show intro, music beds, sponsor spots, commercials and outro music into. Programmed my broadcast software to grab the remote stream at :58 after the hour and kick it out at the top of the hour. That gave me a two minute talk window. Right at or before :57 after, ran the app and connected, then started playing an instrumental song. 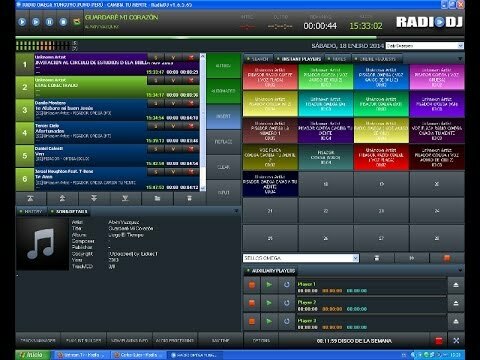 Perfect for: RadioDJ, Sam Broadcaster & others! If this was helpful, consider showing some love..